Are You Planning On Playing Junior Hockey? Why? I will give you 236 Reasons Why To Select The Florida Eels As THE Junior Program to Play For. The Florida Eels Have Advanced An Unprecedented 236 Players Into College. 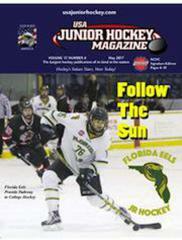 The Florida Eels are the pinnacle of Premier and Elite Junior Hockey. Moreover our players average over $25,000 in scholarships and grants per year. That is over $100,000 for four years. This year alone with 12 plus players advancing to college this season our players will garner in excess of $300,000 per year and over a million dollars during their 4 years. Both our Elite and Premier teams advanced to the USPHL Nationals. We have a direct Affiliation with its NCDC Affiliate the Islanders Hockey Club. The USPHL is the best league in the Nation. 2,500+ NCAA Division. 1 and 3 Alumni. 1,100 currently playing college hockey. Those are incredible numbers. Only the USHL has more. 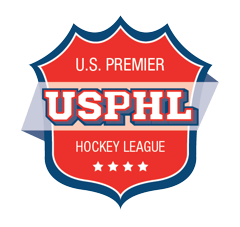 Simply put the USPHL is known as a college placement league. No other Tier II or Tier III Junior league can come close its accomplishments. The Eels no doubt have a rich and storied history of college placement. To date the Eels have 236 alumni who have gone on to play college hockey.These include some of the most prestigious schools in the USA. Additionally, four Eel players have been drafted into the NHL (Teddy Ruth, (Notre Dame) (Washington Capitals now with the Columbus Blue Jackets) RJ Boyd(Michigan State Univ.) (Florida Panthers) Brad Peltz(Yale) (Ottawa Senators) Cam Darcy (Northeastern Univ.) drafted by the Tampa Bay Lightning 2014 and another three were in attendance at NHL Prospects camps Malcolm Lyles(Florida Panthers), and Bennet Sneider(NY Islanders) and Clay WhittTampa Bay Lightning. The Eels continue to be the pinnacle of excellence. Don’t you feel YOU deserve this? Folks as all of you know off ice Strength and Conditioning Training is just as important as ice sessions for players to reach the Next Level in high level hockey. This is why so much attention is given at the USA National team and NCAA Div. I and III college hockey programs. Indeed, it is during the off season that players need to build strength in their upper and lower body, to increase endurance and develop explosive speed. Good luck to Eels alumnus Kellen Crowther as Marian University begins their competition in the ACHA D2 National Tournament. They are currently competing in their first game of the Round Robin against Florida Gulf Coast University. Florida Eels plays in 44 regular season league games 20+ extra scrimmages during the season 4 in season showcases 2 post season showcases. Our Coaches are amongst the best in Junior Hockey. Head Coach Frankie Scarpaci has over 200 wins as a head coach or assistant coach in the league. HAVE YOU PURCHASED THIS BOOK ON COLLEGE SCHOLARSHIPS? Together with Fastweb team apps that we send out almost every day Each day i send you scholarship info You need to get on these. Your premier Dryer Vent Cleaning company for over 10 years. We provide high quality dryer vent cleaning to residential and commercial properties, guaranteed. Celebrating 30 years of serving Southwest Florida, Mike Patrick Electric is a family owned and operated business providing the highest caliber of residential and commercial electrical contractor services. We’re your local electrical company that can handle any size job. Whether you’re building a home or commercial building, or need us to take care of the little things around the house, Mike Patrick Electric has the know how. See a list of Test Locations and Dates or check the online registration system for the latest information. Not all test centers are open for every test date. Note The Dean of Sylvan Learning Center will be visiting the Ft Myers Skatium on Monday September 10th at 2:34 pm. All players are required to attend this session. They are experts in this field and you should hear their presentation. 2) All players need to take SAT or ACT (and I recommend both). Foreign players are strongly urged to take the Tofel test as well. Tofel however is NOT and replacement or substitute for SAT or ACT testing. It is only a supplement or augmentation to reflect and demonstrate your abilities to comprehend the English language and your proficiency to understand English for college level work. a) Formal Prep for test: High school, specialize schools. In person example, Sylvan Learning Centers. d) You must spend minimum of 2-3 hours per day studying for SAT ACT. Example, One Day Math one day Language One day reading. These test have so much info. There are new versions of the test so you cannot take it for granted that you do not need a program of study. You cannot do this alone!!!!!!! 4) High School and Part time college grades. You Need to obtain a copy of your transcripts whether you graduated or not. When you make formal application to a college you will need an official transcript sent form the college. You cannot personally send it. It must come directly from the college. It must have an official seal. Do not assume the college sent it. 50% or better colleges fail to send it on a timely basis. This can cost you admissions and financial aide. You need to verify they sent it and that the college received it. 5) Target schools look at multiple schools these man s for academics, right fit Hockey wise. You should identify 10 colleges 3-4 wish list 3-4 medium and 2 sure things. Then the Eels coaches will augment this list by 5+ The Eels GM will add an additional ½ dozen. This means we will start with approximately 20 colleges. 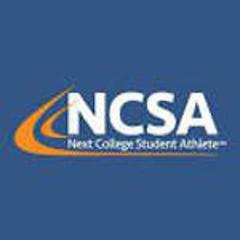 7) Players need to send a preliminary letter to admissions department copy the college coaches. Then send a letter of interest see forms being supplied. 8) Start making videos and upload to YouTube. No waiting. See Hayden Haldane. He has experience making these. How to email college coaches. Don Awrey is a 17-year veteran of the NHL and 3 time Stanley Cup winner ( Boston and Montreal) He was one of the premier defensive defensemen in the NHL during his tenue. He was one of Bobby Orr’s defensive partners for over a decade. He is a true student of the game. Indeed, Don has played with and against the best players in the NHL. The Eels are honored to have him as its Defensemen evaluator. He will provide his advice on our weekly selection. Check Out the Florida Eels Team App We have college scholarships being offered every day. Take full advantage of these offerings Fastwed and our college scholarship source books. Folks I cannot describe the look on my player’s face…filled with such emotion and excitement. This is what it is all about. This is the reason why players come to the Florida Eels Junior program. One cannot describe what it is like….As parents, teammates and future players, we promise to get you there as we have for 220 of our Alumni. This was clearly the high point of our weekend. More important than any win or goal that was scored. DO YOU WANT TO BECOME A SPONSOR OR ADVERTISE HERE? This is a great place to place your ad logo and sponsorship for the Florida Eels Jr Program. Please contact us directly and we will be glad to help place your ad right here. 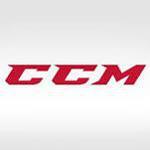 CCM Hockey is a proud community partner and sponsor for the Florida Eels Junior Program for 3 years. 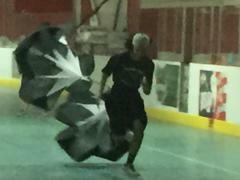 It provides a host of Ice Hockey Equipment and Apparel to the Florida Eels Juniors. 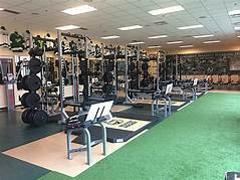 The official Training Center of the Florida Eels Junior Teams. This program Combines the best in hockey knowledge, statistics, and leading technology, Statstrack is the first cost-effective analytics software empowering hockey teams at all levels to easily track, and quickly manage and measure game performance in real-time. Track Key Metrics Statstrack records the important in-game stats, where and when they happen and who makes them happen. Full page Ad in Eels Junior Hockey Program Book. Over 3,000 distributions. At Home games. Sponsor’s name announced in each period on the Internet live broadcast and in the rink. Half page Ad in Eels Junior Hockey Program Book. Over 3,000 distributions. This is a Full page Ad in Eels Junior Hockey Program Book. Over 3,000 distributions. This is a 1/2 page Ad in Eels Junior Hockey Program Book. Over 3,000 distributions.